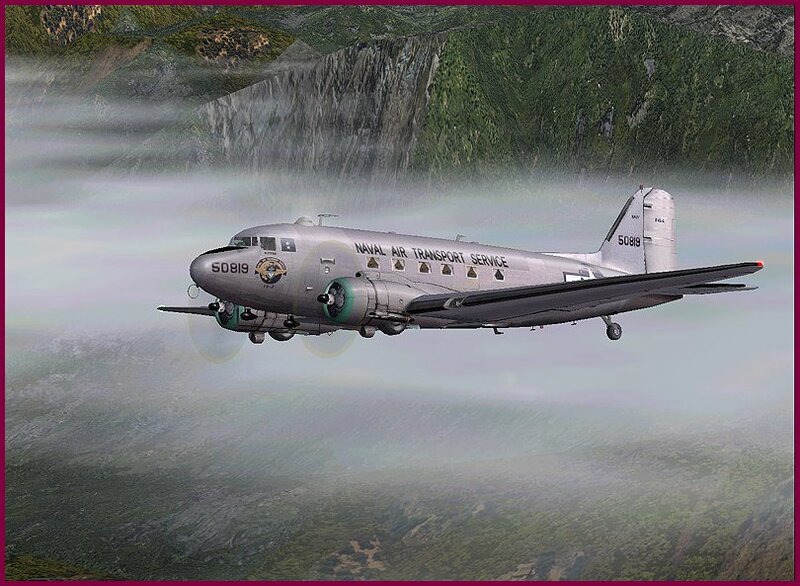 Back in May of this year, we were rushing to put the finishing touches on Version 4 of our popular Freeware R4D package, hard up against the deadline of the World War II Weekend Air Show at the Mid Atlantic Air Museum in Reading, Pennsylvania. 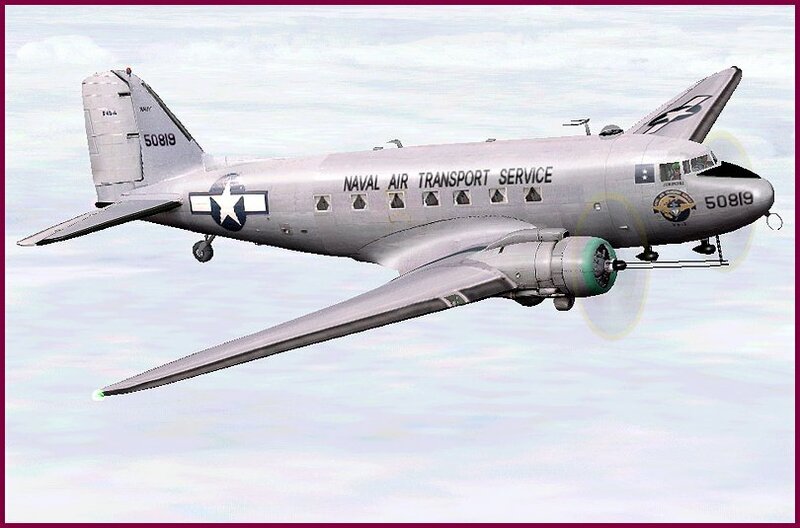 The museum is the home of Douglas R4D (DC-3) #50819, after which our package has been faithfully modeled, and the WWIIWE is the biggest event on MAAM’s annual air show calendar. My panel development partner, Roy Chaffin, along with chief beta tester Keith Maton were flying in from England to help me introduce the new version. 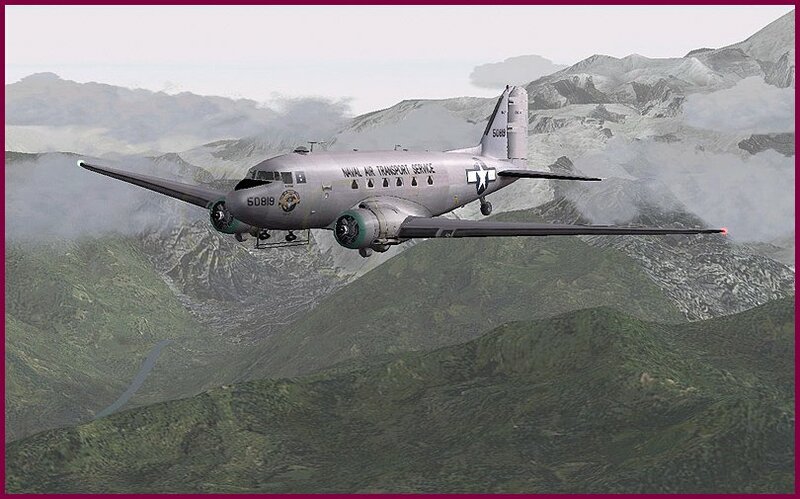 One of the things that had to be set aside to meet our deadline was Jan Visser’s desire to produce all new textures for the new FS2000 aircraft model he had produced. 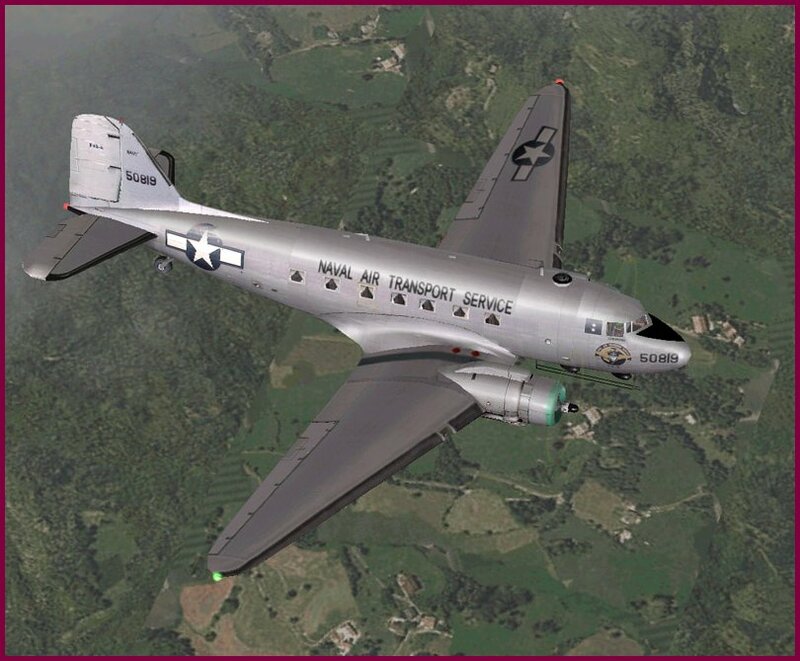 I must admit that Roy and I didn’t consider this to be too much of a sacrifice, because the model Jan had already produced was stunning, setting new standards for FS aircraft developers. It was hard to believe he, or anyone else, could do much better. Good grief, Charlie Brown!!! Were we wrong! You might have seen the preview screen shots Jan has released on the forums and the tremendous excitement they have caused. But if not, those here are all that will be needed to validate everything I’m saying. Quite simply, Jan Visser has proven that he is THE foremost aircraft developer working today. Jan won’t make that immodest claim, but I do, on behalf of my friend and partner. Mr. Visser is also a very talented screen-capture artist, as you can see. In his own words, here are Jan’s tips for taking a good screen shot: “I shoot the pics with 1600×1200 res, crop it and do a bi-cubic image size reduce with Photoshop. If needed a sharpen filter and maybe add some contrast. Most important: always keep ‘the sun’ at your back. Early mornings or late afternoons give best results.” Jan also uses the extraordinarily beautiful new scenery textures by Lennart Arvidsson, newsubet1.zip . As great as the screen-caps are, you cannot appreciate the impact of some of these features until you load it in the sim and pan around the airplane in spot plane view. You will be astounded at the level of detail Jan has put into everything. For instance, zoom in on the cockpit at night and study it from different perspectives. Then look into the cabin windows as you move around in spot view. Before you close the passenger door, look through the doorway from different angles, night and day. Peer up into the photo-real textured main gear bays and check out the incredibly detailed gear struts and wheels. The upgrade will require that you have already installed both zips that make up version 4 of the R4D package. 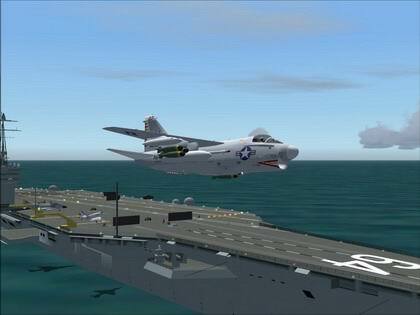 The file names are wjrdc34a.zip and wjrdc34b.zip and sorry, they and the Visual Model Upgrade are FS2000 only. FS98 will not support many of the advanced features of the VMU or the panel. 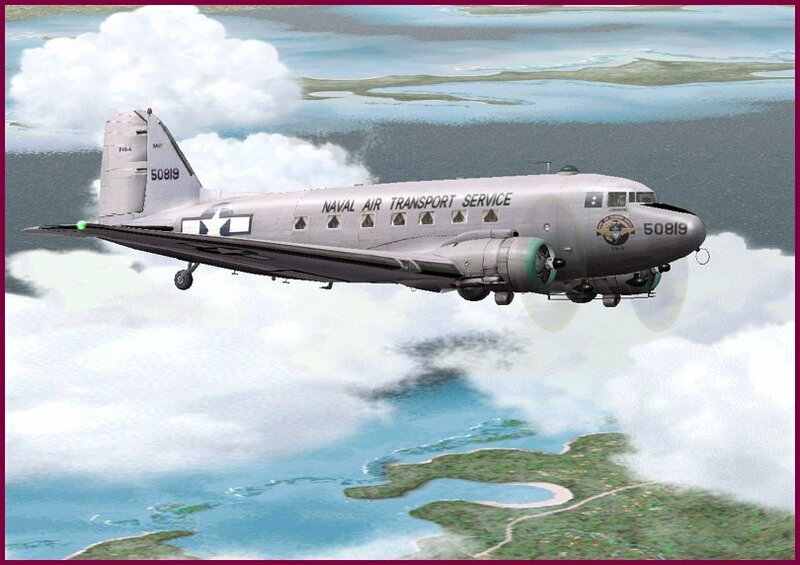 The very BEST way to get everything you need to fly the most beautiful and realistic flight sim aircraft and panel yet produced is by ordering the new version of our MAAM donation-ware CD. 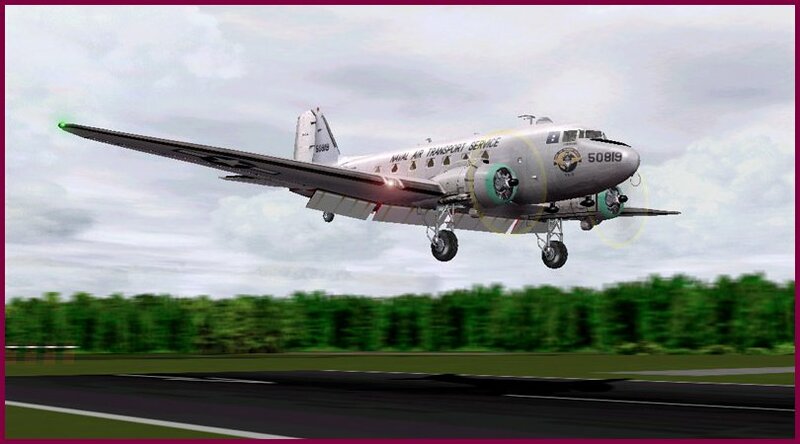 As before, the CD is $25 U.S. and all proceeds go to the MAAM Engine Replacement Fund to help buy the new # 2 engine for #819 which will put her back in the air. 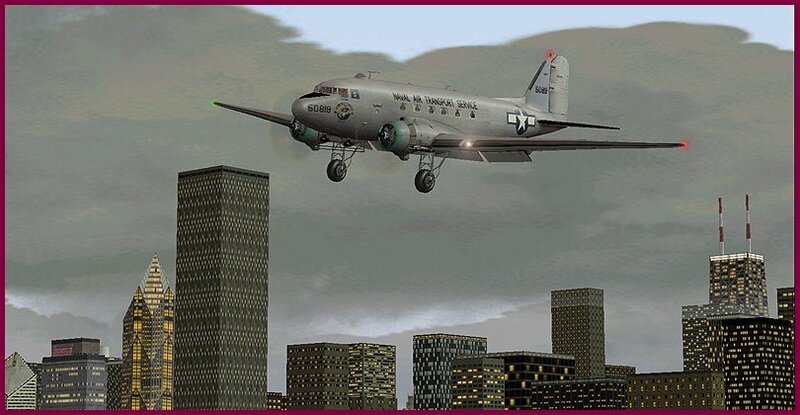 The CD includes self-installing versions of the FS98 and FS2000 packages, and new in this edition, the Combat Flight Simulator self-installing pack as well. Of course the Visual Model Upgrade is there, and so is a special revamped html manual with many new illustrations, diagrams, and helpful instructions. The CD is full (and I’m talking almost 500 MB full!) of all sorts of goodies. narrated by MAAM President Russ Strine…. 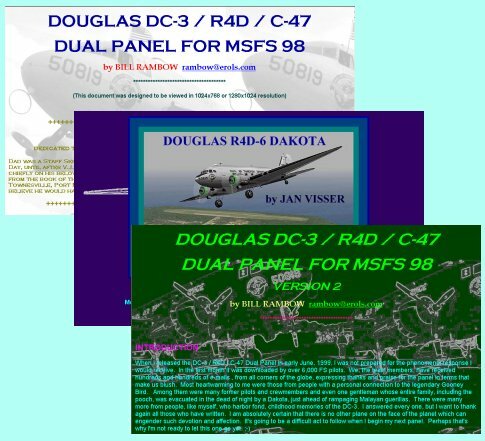 I have included all the digital photos from which I produced the graphics for the panel and gauges, and that Jan used to make his fantastic aircraft textures. All the previous html and plain text manuals from versions 1 through 4 of our R4D packages are included. 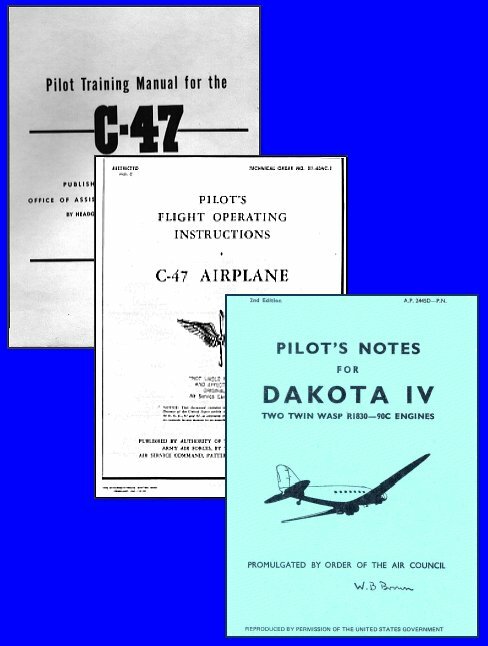 These cover many of the details on gauges and features which had to be left out of the Version 4 manual because of the sheer size of the documents. 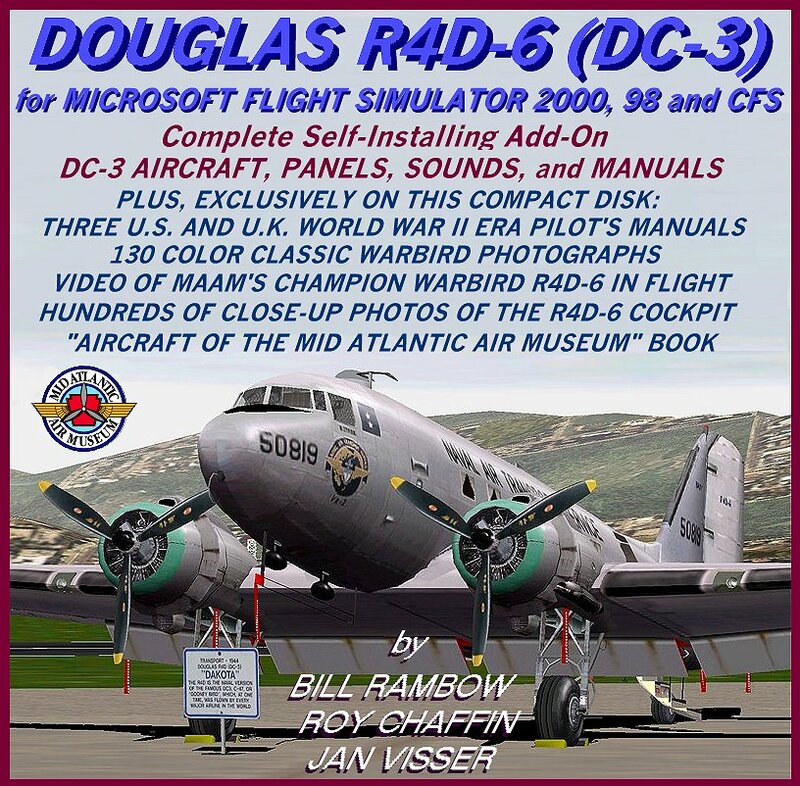 There are dozens of pictures and diagrams that will help you understand and operate the realistic systems of the R4D panel and aircraft. Oh, and each has it’s own swing theme song! 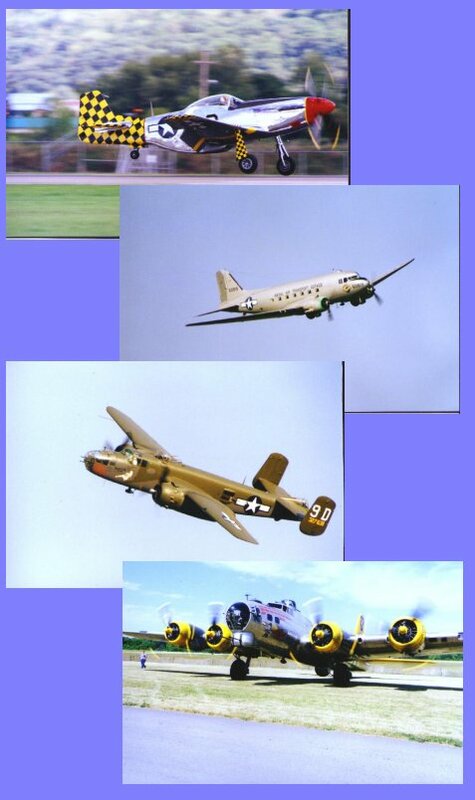 Or save the shipping charge by dropping in at the Museum Shop at Reading Regional Airport and say hello to the real R4D and the rest of the MAAM collection. The new CD will be in stock and ready to ship or pick up at the museum store by Oct. 31, 2000 – a very nice Halloween treat with a few neat tricks up it’s cowling! Order yours today!